Alexander Porfiryevich Borodin (Russian: Александр Порфирьевич Бородин, Aleksandr Porfir'evič Borodin) (October 31/November 12, 1833 – February 15/February 27, 1887) was a Russian composer of Georgian parentage who made his living as a notable chemist. He was a member of the group of composers called “The Five” (or "The Mighty Handful"), who were dedicated to producing a specifically Russian kind of art music. Borodin is best known for his symphonies, his opera Prince Igor, and for later providing the musical inspiration for the musical Kismet. Prince Igor celebrated nationalism through the exploits of the twelfth-century Russian prince Igor Svyatoslavich and his campaigns against the invading Polovtsian tribes. Adapted from Bordin's music, Kismet was produced on Broadway in 1953 by Robert Wright and George Forrest and came from an earlier production by the dramatist Edward Knoblock's 1911 production of the same name. Borodin's music continues to inspire and uplift continuously and into the present. Borodin was born in Saint Petersburg, the illegitimate son of a Georgian noble, Luka Simonis dze Gedevanishvili, who had him registered instead as the son of one of his serfs, Porfiry Borodin. As a boy he received a good education, including piano lessons, but he was eventually to earn a doctorate in medicine at the Medico–Surgical Academy, the later home to Ivan Pavlov. Borodin pursued a career in chemistry. As a result of his work in chemistry and difficulties in his home life, Borodin was not as prolific in writing music as many of his contemporaries were, hence his own description of himself as a "Sunday composer." He died during a festive ball, where he was participating with much vigor; he suddenly collapsed from heart failure. He was interred in Tikhvin Cemetery at the Alexander Nevsky Monastery, in Saint Petersburg. In his chemical profession Borodin gained great respect, being particularly noted for his work on aldehydes. Between 1859 and 1862 Borodin held a postdoctorate in Heidelberg. He worked on benzene derivatives in the laboratory of Emil Erlenmeyer. He also spent time in Pisa, working on organic halogens. One experiment published in 1862 described the first nucleophilic displacement of chlorine by fluorine in benzoyl chloride. A related reaction known to the West as the “Hunsdiecker reaction” published in 1939 was promoted by the Soviet Union as the “Borodin reaction.” In 1862 he returned to the Medico-Surgical Academy. There, he worked on the self condensation of small aldehydes with publications in 1864 and 1869, and found himself competing with August Kekulé. 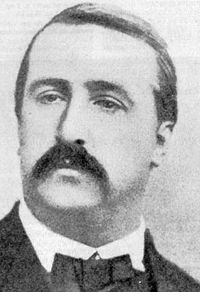 Borodin is also credited with the discovery of the Aldol reaction together with Charles-Adolphe Wurtz. In 1872 he announced to the Russian Chemical Society the discovery of a new byproduct in aldehyde reactions with properties like that of an alcohol, and he noted similarities with compounds already discussed in publications by Wurtz from the same year. He published his last full article in 1875 on reactions of amides and his last publication concerned a method for the identification of urea in animal urine. He also invented a very successful formula for black bread, now called Borodin bread. 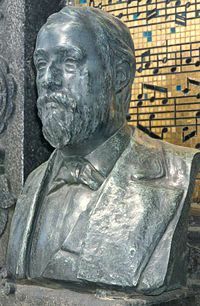 As regards the significant factors of his avocational life in music, Borodin met Mily Balakirev in 1862, when under his tutelage in composition he began his Symphony No. 1 in E-flat Major, which was first performed in 1869, with Balakirev conducting. In that same year Borodin started on his Symphony No. 2 in B Minor, which was not particularly successful at its premiere in 1877 (under Eduard Nápravník), but with some minor re-orchestration received a successful performance in 1879 by the Free Music School under Nikolai Rimsky-Korsakov's direction. In 1869, Borodin became distracted from initial work on the second symphony by preoccupation with the opera Prince Igor, which is seen by some to be his most significant work and one of the most important historical Russian operas. It contains the Polovetsian Dances, which are often performed as a stand-alone concert work as probably Borodin's best known composition. Unfortunately, Borodin left the opera (and a few other works) incomplete at his death. Prince Igor was completed posthumously by Rimsky-Korsakov and Alexander Glazunov. Other well-known compositions by Borodin include the popular symphonic poem In the Steppes of Central Asia and the second of two string quartets (in D Major), in which the composer's strong lyricism is represented in the popular "Nocturne" movement. In 1882, Borodin began composing a third symphony, but left it unfinished at his death; two movements of it were later completed and orchestrated by Glazunov. Among Borodin's other works there are several art songs, piano pieces (notably the Petite Suite), and other chamber music (notably a cello sonata based on a theme from Bach's Sonata No. 1 in G minor, BWV 1001). Borodin's fame outside the Russian Empire was made possible during his lifetime by Franz Liszt, who arranged a performance of the Symphony No. 1 in Germany in 1880, and by Comtesse de Mercy-Argenteau in Belgium and France. His music is noted for its strong lyricism and rich harmonies. Along with some influences from Western composers, as a member of “The Five,” Borodin’s music exudes also an undeniably Russian flavor. His passionate music and unusual harmonies proved to have a lasting influence on the younger French composers Claude Debussy and Maurice Ravel (in homage, the latter composed in 1913 a piano piece entitled "À la manière de Borodine"). The evocative characteristics of Borodin's music made possible the adaptation of his compositions in the 1953 musical Kismet, by Robert Wright and George Forrest, perhaps most notably in the song, “Stranger In Paradise.” In 1954, Borodin was posthumously awarded a Tony Award for this show. ↑ Gerald Abraham, Borodin: The Composer and his Music (London, 1927). ↑ Sergei Aleksandrovich Dianin, Borodin (New York: Oxford University Press, 1963). ↑ Michael D. Gordin, “Facing the Music: How Original Was Borodin’s Chemistry?” Journal of Chemical Education 83 (2006): 561-566. Retrieved July 6, 2007. ↑ E. J. Behrman, “Borodin?” Journal of Chemical Education 83 (2006): 1138. Retrieved July 6, 2007. Hutchings, A. J. B. (1936). “A Study of Borodin: I. The Man.” The Musical Times 77 (1124): 881-883. Sarton, George. (1939). “Borodin (1833-87).” Osiris 7: 224-260. This page was last modified on 2 March 2016, at 17:27.